Need an English Speaking Solicitor? Portada » Blog » Need an English Speaking Solicitor? Looking for an English speaking solicitor? If you need legal or fiscal assistance, then why don’t you come to ABC Solicitors. We can offer you the assistance that you need. Be it that you have just bought or sold your property in the area, that you need a Spanish will, or that you have decided to become a resident in Spain and need some fiscal advice, ABC Solicitors really is the first port of call in your search for a legal and fiscal representation service that understands your needs and speaks your language to perfection. All members of our team are highly trained and speak fluently at least two European languages, and can assist you with all kind of matters: they can help you in the process of becoming a property owner, making sure that your interests are put first if you are selling up, drawing up a Spanish will or dealing with the legalities arising from the death of a dear relative. We are here to help you and to make sure that your needs are put first. Our customer care is second to none, proven by the high percentage of new clients that come to us through recommendations of other satisfied clients. Understanding the difference between being a resident or a fiscal resident in Spain can be quite confusing. Meeting the fiscal liabilities accrued at the time of buying a property, knowing what IBI tax is or understanding why you need to pay Non Resident Income Tax, even though you don´t actually obtain any income as such from your property, can become an uphill struggle. If you come to ABC Solicitors, we can guarantee that you will leave knowing exactly what you need to do and why, and knowing that your fiscal and legal affairs are in safe hands. An English speaking solicitor is the best choice you can make when looking for legal and fiscal representation. 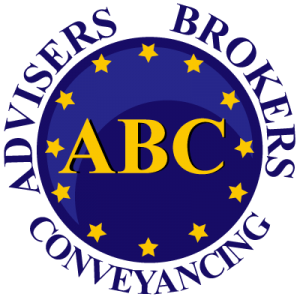 Having ABC Solicitors as your legal advisory service is the best decision you can ever make. Our offices are right in the middle of Playa Flamenca, in La Mosca Comercial Centre and our Team is ready to welcome you and to treat you with the highest standard of professionalism and friendliness. 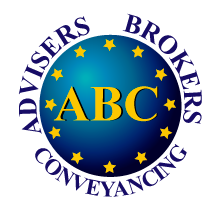 ABC Solicitors really is the perfect solution if you need a lawyer or fiscal representation, specially if you live in Orihuela Costa or Torrevieja. We guarantee that you will not be disappointed.